Happy St Patrick’s Day! 17th March is traditionally the day for the Irish and those of Irish descent and disposition to celebrate and paint the town green. In case you missed the Festival and Parade on the 15th (and it was a bit cold on Sunday) there are still many events happening today to raise a glass of the black stuff to. The London Irish Centre in Camden Square has an afternoon tea dance with a bacon and cabbage lunch and live music from 1pm (tickets £10) and then in the evening not only will there be the launch of a new Country and Irish night, there will also be the opening of a photography exhibition ‘London Irish’. 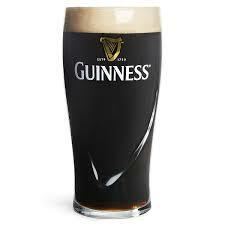 Why not pop in for a pint at The Auld Shillelagh in Stoke Newington? It has been voted one of the best Irish pubs outside of Ireland by the Irish Times. Open from 11am the Standard call it an ‘Old Fashioned pub without all the Irish gimmicks’ with locals enthusing on the quality of the Guinness. 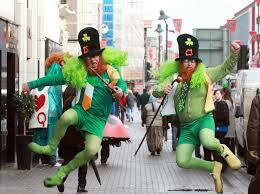 And finally, how about combining St Patrick’s day festivities with one of the most exciting venues in London? View from the Shard is holding one of their Silent Discos on an Irish theme – with the choice of Irish music to dance to and Jameson and Guiness to drink. Tickets must be bought by 5pm tonight in advance.